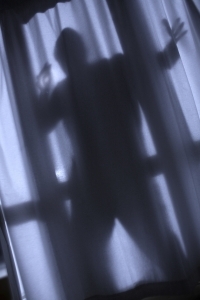 Having your home broken into can be a terrifying experience. It doesn’t matter if you’re there at the time it happens, it’s the overwhelming sense of no longer feeling secure in your own home. If you do happen to be home at the time it happens, then your wellbeing could be at risk. Sometimes there is nothing you can do to prevent your house being burgled, in which it just happens to be extremely bad luck. However, a huge number of houses that are broken into are a result of a door or window being left open, or another security measure not being in place. As a company who specialises in a number of security solutions, including the installation of burglar alarms in Bristol, we find your safety exceedingly important. Because of this, we have put together a list of common security mistakes that people make every day, so that you can avoid anything happening to your home. You’ve left the house without a key so you ask whoever is still home to hide one for you outside. We’ve all done it before and some people do it regularly. What you don’t realise is that you could essentially be inviting someone to break into your house. It’s something that you should never do! Even first time burglars know to check under the doormat or under the big massive plant pot placed conveniently by your front door. You should leave the key with a trusted neighbour or friend if someone has forgotten to take theirs out with them. It can be tempting to choose the cheaper option when it comes to the locks in your home. However, many burglars already know how to get through an average standard lock, so you are making it far too easy for them. You should consider upgrading to more heavy-duty locks, so that they won’t be able to get them open or it will take far too long for them to do so. Spending a little bit of money on high quality security equipment can save you a lot of money in the long run. Investing in a burglar alarm, or security cameras, will make it almost impossible for someone to break into your home undetected. Plus – you can’t put a price on your life! If you do have an alarm already, don’t forget to set it when you go out or go to bed. A lot of break-ins happen as a result of people forgetting to set their alarm. Why put something expensive in the direct eyesight of anyone walking past your house? It’s an easy way to get your house broken into. Move all valuable items away from the window, so that people can’t spot them from the outside. If you can’t move something, for example a huge TV, you could always close the curtains around it. 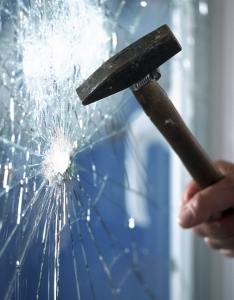 If you follow our handy tips, then you are making a huge start in security proofing your home. However, if you need more help, or any security equipment – we can help! Here at BWS Security, we provide a range of excellent security systems that can help keep you on and your home safe. If you have any questions about the services we provide, please do not hesitate to contact us. You can give us a call on 01225 800 602 and a member of staff will be happy to help you out.